Most writers I know have put themselves on a news diet, but even if you’ve done that it’s impossible to escape the bad news altogether—nor do most of us want to be completely checked out. 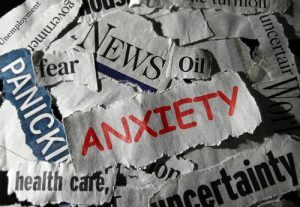 The shitstorm we’re contending with in our country—#MeToo, our erratic weather, nuclear threats, a Twitter presidency—is leaving most of us feeling anxious at best. 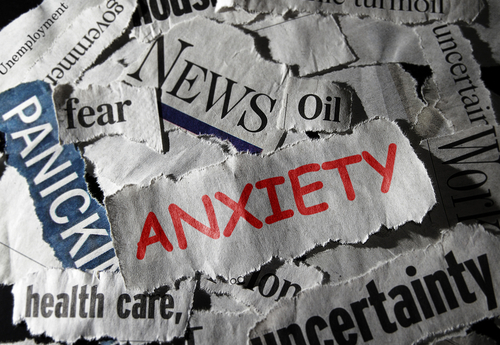 Few writers I know are able to wield their anxiety into well-crafted scenes. Most are distracted (for good reason!) and yet the new year is supposed to be about new beginnings, right? 1. Make one day a week a no news/social media/phone day. I’ve tested this out and I usually find that for the first hour away from my phone I’m in a low-grade panic. The separation anxiety I feel when I’m away from my phone, even when self-imposed, is evidence of the dopamine hit we’re said to get each time we check or phones or social media. A recent study showed that the average person checks their phone 85 times a day. Consider how truly obsessive-compulsive that is, and yet we’re all doing it. Studies also say this incessant checking and stimulation is exhausting. It not only drains us, it further distracts us and keeps us on a short creative leash. 2. Read aloud. I have a seven-year-old son and just recently we’ve graduated from picture-driven books to more complicated children’s texts. The anthology we’re reading includes excerpts from Alice’s Adventures in Wonderland, Beowulf, Little Women, and poetry by Robert Frost. It’s such a gift to get lost in these words, to pay attention to the sentence structure, vocabulary, and dialogue of these masters. These works are so engaging, and thus inspiring. I suggest reading something contained that you can finish, like poetry or a short story. Look to the classics. This is a gorgeous way to stoke your creative genius. 4. Go back to old projects. Do you have an old manuscript sitting on the shelf, or withering in some old file on your computer? Perhaps you’re a journaler (or used to be) and haven’t revisited your old writings in years. Maybe you have old letters you wrote, or even just snippets of things that were left incomplete. Reading work from the past can bring us right back there, to a time when we were not bombarded by the anxieties of today. Sure, there might be other crap lurking there, but it’s different crap, and you survived it. Reading your old work at the bare minimum will jar you out of the present. It may inspire you to pick up something you intended to finish, or to change direction on a current piece. You can be your own muse. 5. Participate in something. Go to a reading, a retreat, or a workshop. Enroll in a class. This might be something intensive, like a weeks- or months-long kind of thing, or it could just be a day, or a few hours. Support is out there, but it can be hard to find it if you don’t know where to start looking. Check the individual offerings of writers you follow. If you’re lucky enough to have a bookstore nearby, pick up their newsletter. Look into events at your local library. Check into the offerings of writing communities (online and offline), like The Grotto, GrubStreet, Hugo House, Gotham Writers Workshop, and SheWrites.com. Google “writing community” in your city or the closest city to you and see what pops up. Being connected to like-minded people with the same goals, and also the same struggles, is every writer’s best vitamin. Finally, a plug for my friend Grant Faulkner’s newest book, Pep Talks for Writers: 52 Insights and Actions to Boost Your Creative Mojo. I love this book, and I’ve been reading the entries one at a time, one every few days, since early November. Grant is the Executive Director of National Novel Writing Month, and as a writer and author, he shares his own inspirations and challenges. Pick this up for the pep talks you’re gonna need this year. I’m afraid things won’t get better anytime soon, so the only way to feed our creativity is to get proactive about it. I’m with you, picking up inspiration where I can grasp it. Godspeed to all of us. 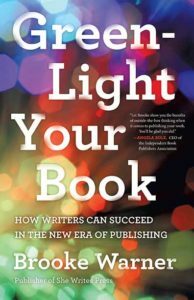 Are you ready to call yourself an “author”?